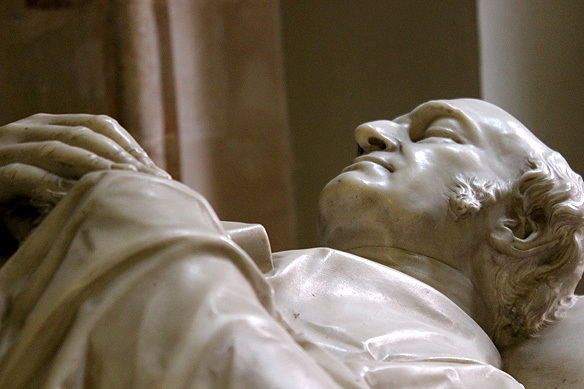 Memorial to the first Bishop of Bombay, Right Reverend Thomas Carr at St. Thomas Cathedral; he died in England. 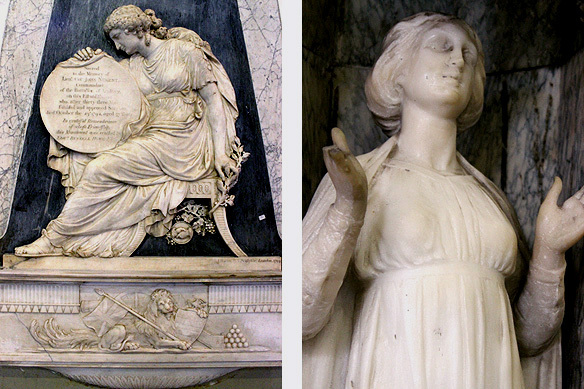 His cenotaph was put up at the cathedral by his wife, in his memory. 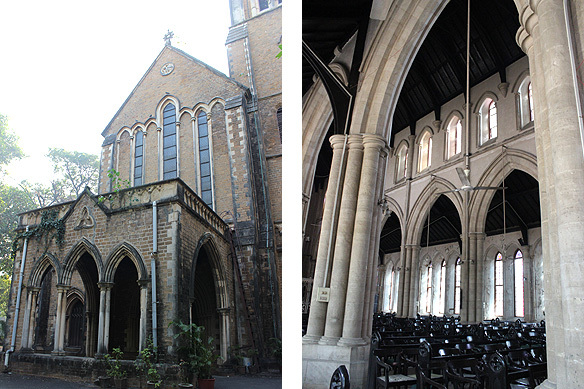 South Bombay’s two oldest churches can be traced back to the British Raj. Two very different churches representing two very different chapters from this period. They are also two of the most imposing in the city. 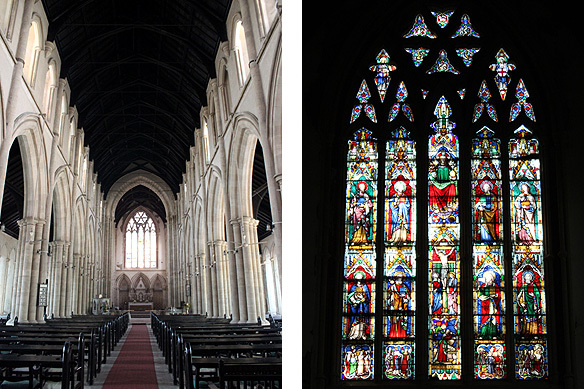 Whereas St. Thomas Cathedral is a symbol of early British settlement, the Afghan Church is a dedication to the 16,000 soldiers who died in the first Afghan War. Built with the sacrosanct mandate of maintaining and improving “the morals” of the early settlers, St. Thomas Cathedral is Bombay’s first Anglican Church. 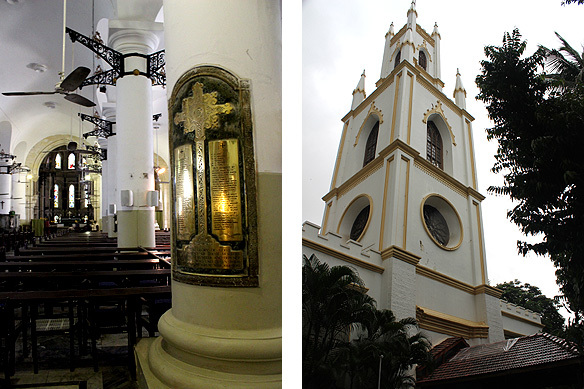 The church, designated as cathedral in 1837, stands regally in the Fort precinct, its white neo-classical façade trimmed with buttery yellow edging. Within, jewel-like stained glass windows filter in light on memorials dedicated to the late British parishioners. I sit down on one of the pews and let myself be transported back in time. The cathedral, I am told, has not changed much since 1718 when it opened its doors to the public on Christmas Day. The brainchild of Governor Aungier in 1676, it lay abandoned for nearly 40 years after his death, the walls 5 metres high. In 1715, the British East India Company adopted the project and completed it. There are interesting details in its midst. For instance, during the 18th and 19th centuries, reflective of the prevailing divisive society, there was a separate section for “inferior” women. And the roof is cannon ball proof! I reach the Presbyterian Afghan Church in Navy Nagar to find it deserted and locked. The 60-metre high tower topped with a spire stoically stands sentinel, as if asking me what was I doing there. Not one to give up easily, I track the guard who opens the massive doors for me, whispering that if I wish I could take pictures too. I am not sure what I expect to see… I am too awestruck by the crumbling grandeur to remember what my preconceived notions of the place had even been. Silent columns tower around me, holding up the soaring ceiling; ethereal stained glass paintings perched high up in the walls, gaze down almost contemplatively at me. In obedient piety, rows of empty pews kneel in homage to the dead. 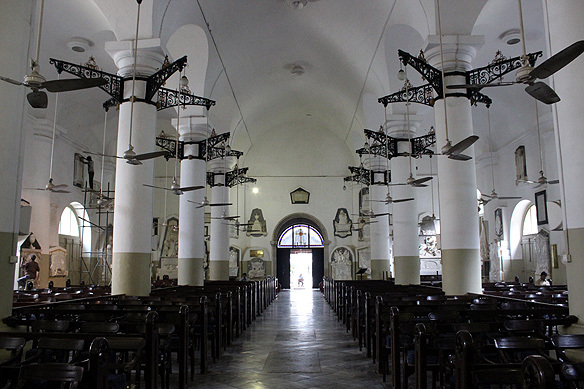 The Afghan Church (1858), the alias for The Church of St. John the Evangelist, is a memorial to the British soldiers and the Dharamsala Battalion led by Ranjit Singh from Lahore who lost their lives during the 1835-1843 First Afghan War. 16,000 soldiers had fought from the British side. Only three survived. It was the heaviest defeat faced by the British so far. The church, English Gothic Revival in design and made with local basalt and limestone, is a Grade I heritage building today. Two grand churches. One still celebrated. One a little battered and bruised over time. Much like the purposes for which they had been built to start with. 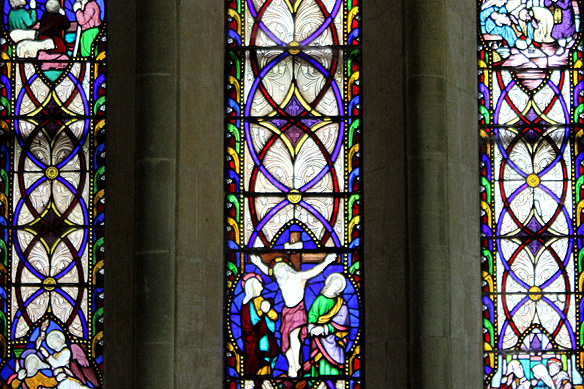 and jewel-like stained glass windows. The Father. The Son. 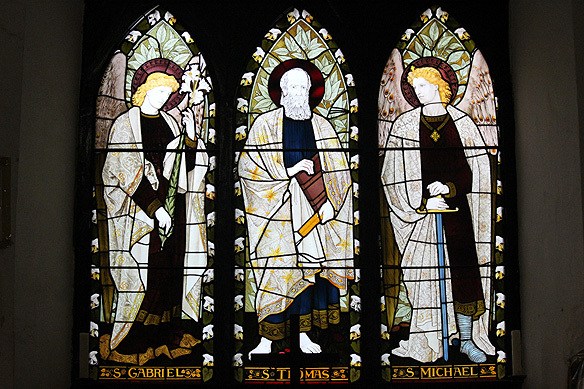 And the Saints Gabriel, Thomas (to whom the cathedral is dedicated to and who is credited with bringing Christianity to India) and Michael. 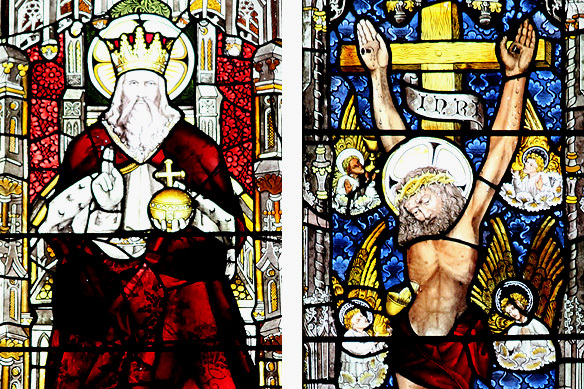 and stained glass paintings on the east and west windows (the latter titled New Testament Saints) by William Wailes, a 19th Century expert from England. This entry was posted in Bombay aka Mumbai and tagged Afghan Church, Anglican Church, British East India Company, British Protestant Christians, British Raj, Gothic Architecture, Governor Aungier, Presbyterian Afghan Church, South Bombay, South Mumbai, St. George Fort, St. Thomas Cathedral, Stained Glass Windows, William Wailes by Rama Arya. Bookmark the permalink. Yes, I saw St Thomas but not the Afghan Church. But I didn’t take any pics of St Thomas because I was actually tired from the heat and walking. I sat down, rested and admired the church, it’s amazing. The “pictures” are stored in my memory 🙂 The Afghan Church – yeah, another reason to come back hahah!